Guam Daily Post: "US Probation Office offers second chances"
Home >> Guam Daily Post: "US Probation Office offers second chances"
A federal mandate that aims to reduce recidivism and help convicted felons become successful members of the community is helping defendants on Guam looking for a second chance at life. The Second Chance Act was signed into law in April 2008 to reduce recidivism and improve outcomes for individuals returning from incarceration by improving the re-entry process. 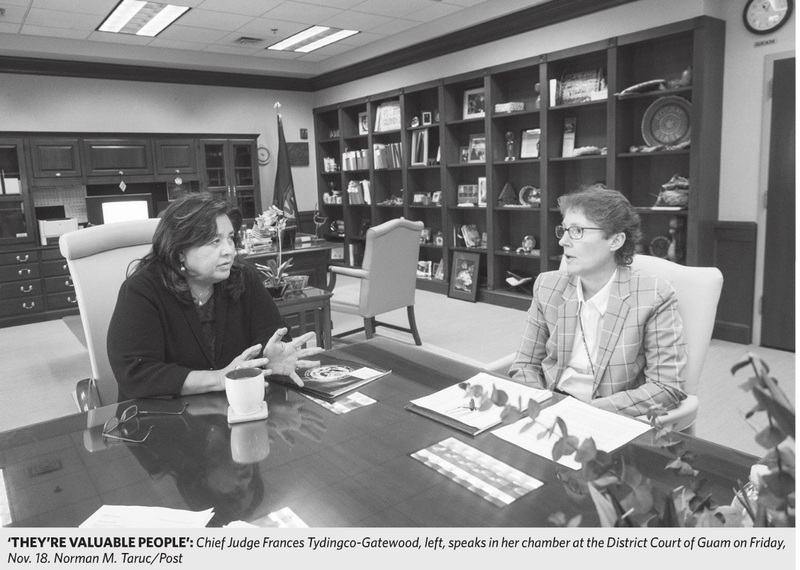 Chief Probation Officer for Guam and CNMI Kim Walmsley said there is a “changed philosophy” at the probation office, as officers and clients work as a team with the goal of clients becoming law-abiding and contributing members of the community. Read more.